His body is 95% spaghetti and chimichangas. Bryan is the control room operator for the crew. Also known as Big Balls Bryan, Triple B and 8-Bit Bryan. He is an avid retro video gamer, synthwave music fan and a big time car movie buff. He has lots of experience in sim drifting but he used to drift a 350z in real life. He is also known for the 8-Bit Miata and he is currently building an E46 1JZ BMW for ProAm. He just became the owner of Paco’s LS400 after “remodeling” the car against a wall. Formula Drift’s visual storyteller and pit reporter, Laurette Nicoll is also an established and ardent announcer for numerous disciplines in the action sport and Motorsport communities. A wine snob, enthusiastic photographer, unfalteringly steadfast motocross rider and dedicated student, Laurette actually knows what she’s doing compared to the other Driftcast members. Also currently reporting for Nitro World Games, Endurocross and select AMA events. This media guy could be you! 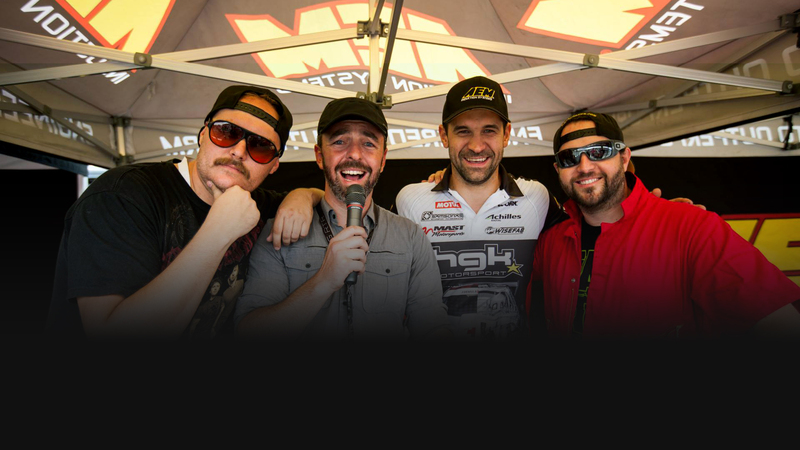 You could be our next Driftcast Media guy,man,dude,girl, person! We dont want the Stig. We want you!